Our most economical system that maximises the visual impact but minimises the cost. 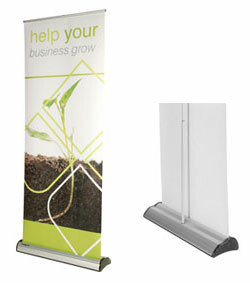 The Grasshopper roller banner stand is extremely quick to assemble and very easy to use. 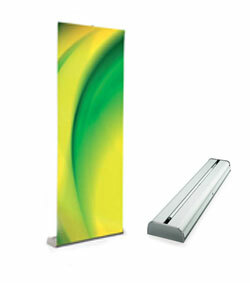 Ideal for any exhibition or point of sale display that is cost driven. 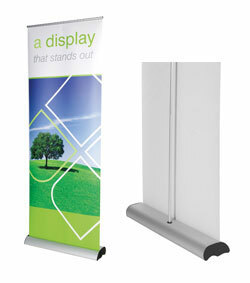 In a robust anodised silver casing, the Orient roller banner stand is a smart and stylish roller banner with the perfect combination of design and stability. 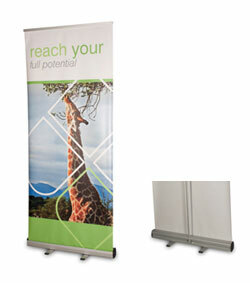 The Original 2 is a versatile roller banner stand that is designed with ease of use in mind. It is manufactured in the UK, allowing us to offer it in a choice of six widths. The larger widths offer a very cost-effective solution for wide-format graphic displays and competes favourably with Pop-up systems. 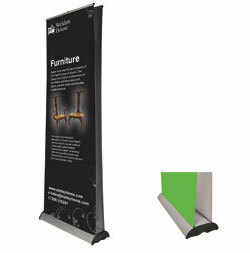 The prices illustrated above are based on the 800mm wide single-sided stand. All prices are from print ready files supplied and do not include delivery or VAT. 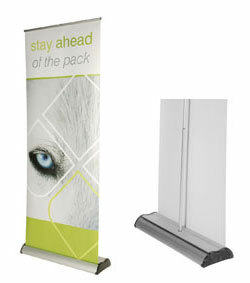 One of the most popular roller banners on the market, the Sidewinder characterises 'flexibility' and reliability. Available as single or double-sided, with a choice of five widths, this robust and timeless system is compact and ideal for regular use. 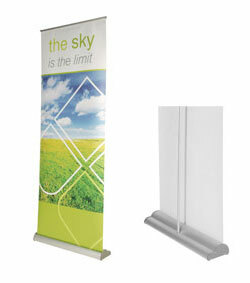 The prices illustrated above are based on the 800mm wide double-sided stand. All prices are from print ready files supplied and do not include delivery or VAT. The Original 3 roller banner stand is one of the most versatile units that we sell, being suitable for a multitude of display applications. You can use it to display a graphic up to 2000mm x 2145mm on both sides, it represents one of the most cost-effective large format displays available, yet still on a truly portable scale. With a wider footprint for extra support and stability than most systems, the Excaliber roller banner stand is a versatile and durable addition to any exhibition or showroom. The Imagine cassette roller banner is packed with design features that make it quick and easy to use when you need to change the message regularly without purchasing new systems each time. The Imagine also allows you to have differing height displays from 750mm up to 2130mm.